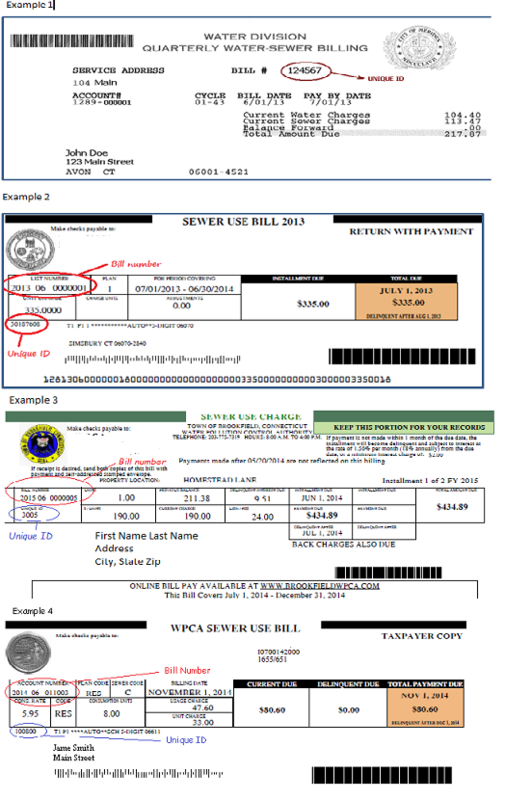 Click on SEWER/TRASH if you want to search SEWER/TRASH bills only. The information on this web site is provided as a public service. 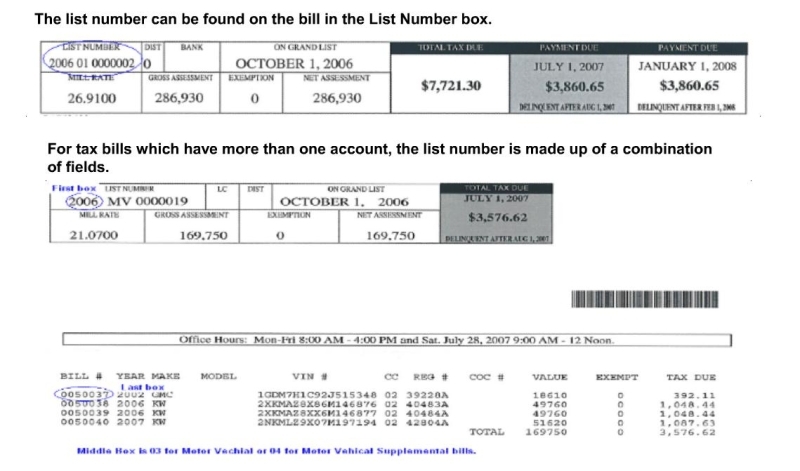 The information on this web site is believed to be an accurate, complete and a fair representation of the records of the Town of Ellington Tax Collector's Office as of Apr 24, 2019. However, due to the complex nature and volume of information, errors and/or omissions may be present. Accordingly, the Town of Ellington and its officials, employees and agents make no representations, warranties or guarantees concerning the accuracy of any of the information contained on this web site. Anyone using this web site as a source of information is urged to verify the information contained herein against his or her own records. The Town of Ellington and its officials, employees and agents shall in no way be responsible for actions taken in reliance upon any information included on this web site. If using this service for income tax purposes we strongly advise taxpayers to contact a professional Federal Income Tax preparer or the Internal Revenue Service for assistance in properly utilizing the information provided. In no event will the Town of Ellington, its officials, employees or agents, be liable for any damages, including, but not limited to, loss of data, lost profits, business interruption, loss of business information or other pecuniary loss or consequential damages that might arise from, or relate to, the use of this service or the information it contains. By using this website, you understand and agree to these terms.